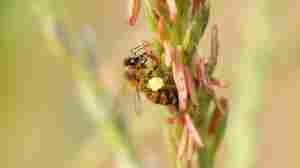 March 29, 2012  Two new studies, published in the prestigious journal Science, suggest that one class of insecticides poses a more serious threat to bees than government regulators realized. 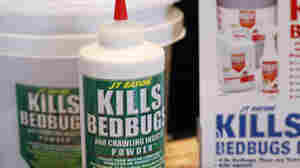 September 23, 2011  Some people are taking bedbug control into their own hands, buying and administering pesticides in their homes. But a report from the CDC that dozens people have been sicked from overusing or misusing the chemicals. June 17, 2011  A recently released report on pesticide residues found that about 20 percent of organic lettuce tested positive for pesticides. How could that be? We talked with the University of Minnesota's Jeff Gillman about the state of organic farming. 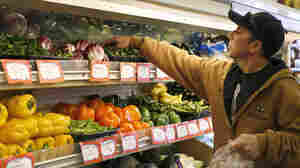 June 13, 2011  An advocacy group came up with a shopping guide for consumers concerned about pesticide residues in produce. The group's "Dirty Dozen" is headlined by apples, celery and strawberries. 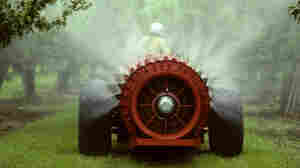 The fruits and vegetables lowest in pesticides were led by onions, sweet corn and pineapples.